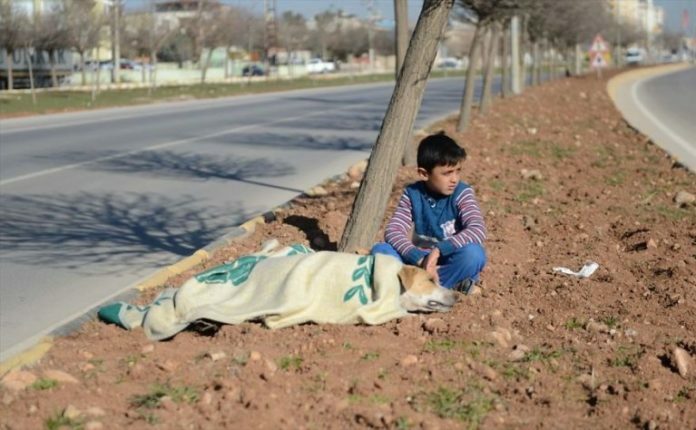 A refugee boy from war-torn Syria did his best to comfort an injured dog after she was hit by a vehicle. 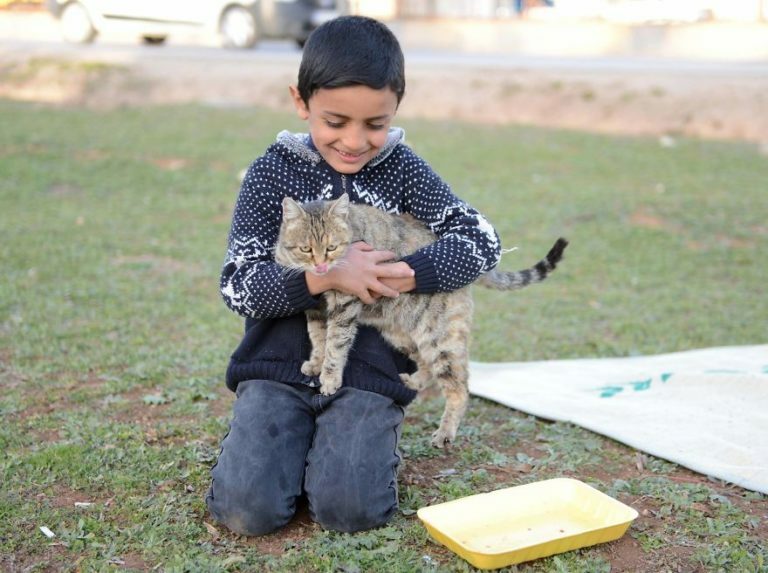 Despite having endured plenty of hardships in his young life, 8-year-old Hüseyin el-Hasan is still inclined to put others’ needs before his own. 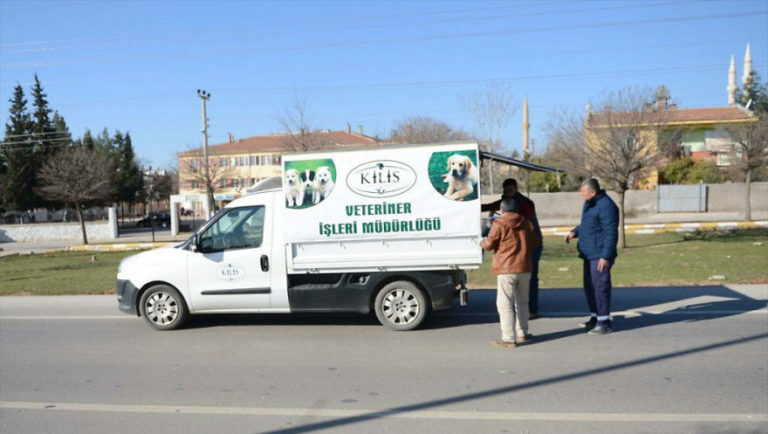 Such was made evident when recently, a dog was hit by a vehicle near his adoptive home in the city of Kilis, Turkey. The refugee from war-torn Syria witnessed the incident and was quick to assist the animal until help arrived. Though he couldn’t do much, Hüseyin ran to his home and grabbed a blanket which he covered the shivering dog with. He then alerted others to call for help and waited by the canine’s side until animal care workers made it to the scene. In no time, help arrived and the dog was transported to a veterinarian. 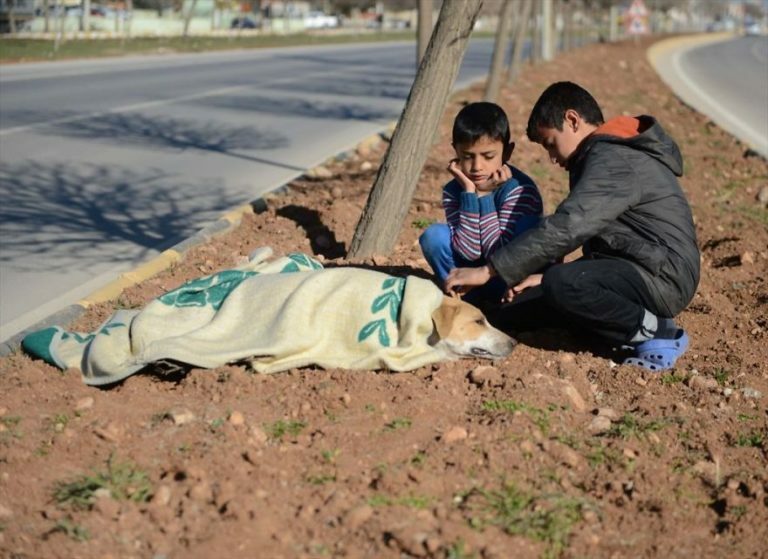 Unfortunately, the sweet pooch passed due to her injuries shortly after reports the Turkish news outlet Anadolu Ajansı. The Dodo reports that child was understandably heartbroken upon learning that the dog he had tried so hard to save didn’t make it. His compassionate gesture wasn’t missed by those who had welcomed him and his family into their country, however. To thank the 8-year-old for his display of kindness, the city’s deputy mayor Cuma Özdemir paid a visit to Hüseyin’s home. The mayor informed Hüseyin that the gesture might seem unremarkable to a handful of people, but that it represents the best of humanity. 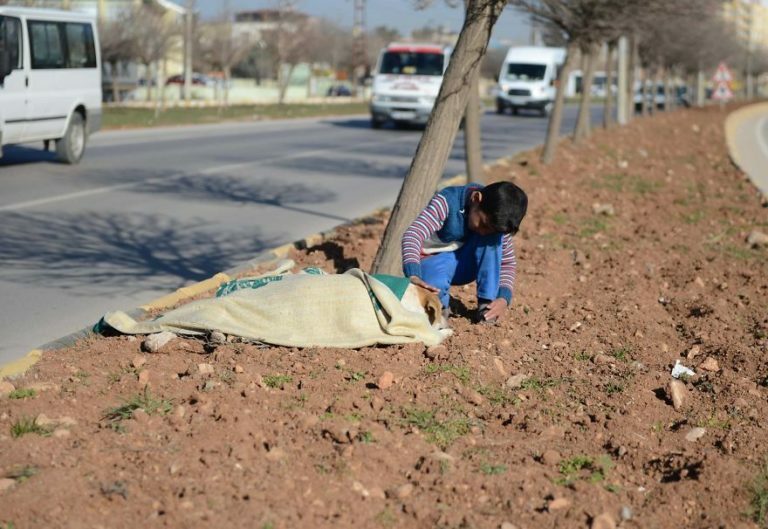 As a token of appreciation, Hüseyin received new blankets to replace the one he gave away so willingly. A Syria-born refugee named Hüseyin el-Hasan just restored our faith in humanity. After witnessing a dog get hit by a vehicle, he rushed to help her. He grabbed a blanket from his home and draped it over the canine to help keep her warm and comforted. Then he waited for animal care workers to arrive. The dog was transported to a veterinarian but passed shortly after due to her injuries. The compassionate deed didn’t go unnoticed. and Hüseyin received a visit from the Turkish city’s mayor.